Is your blonde hair starting to look a little on the brassy side? Maybe it is time for a hair makeover? You want your blonde hair to look like new, but do not want to spend the money to get it dyed. It can be expensive to dye your hair and keep up on it. Maybe, you do not want all the chemicals in your hair that comes with dyeing it? Well then, in this article you will learn how to fix your brassy hair without all the chemicals and money it costs to fix it. Wouldn’t it be great if you didn’t have to leave your house to get rid of the brassy hair? You can get quality results without getting out of your pajamas. I find this very exciting. What is the answer you wonder??? The answer is Vinegar!! Seriously regular vinegar, the stuff you probably have under your sink or in a cabinet somewhere. Yes, the smelly stuff that is great for getting rid of the brassy hair. I know it is crazy, but it really works. You will learn all about it now!! Apple cider vinegar is a great way to get the brassy color out of your hair. Not only does it have other added benefits for your hair, but it will also get your blonde locks back to normal!! I personally like to add some sort of oil to my vinegar mix. It doesn’t matter what kind of oil, it could be almond oil, olive oil, grapeseed oil, etc. It will add a little extra shine and moisture to your hair. You will need a ½ cup of apple cider vinegar and water. Make sure you use this concoction after you shampoo your hair. Leave it in your hair for at least 10 minutes. After your 10 minutes is up, you rinse without using shampoo. Do not worry the smell of the vinegar will go away once your hair is dry. Use this mixture for a couple of weeks or until you get the results you desire. You can also add a little bit of almond oil to the mixture if you would like. It will help keep your hair soft and smooth. You can use regular white vinegar if yo9u do not have the apple cider vinegar. Another way to lighten and get rid of the brassy hair is to use purple shampoo and then use the apple cider vinegar or white vinegar. The apple cider vinegar is better for your hair, but white vinegar will yield the same results. The purple shampoo is used to help reduce brassy hair as well. So, if you use both products you will get to your end result a little faster. I would make sure to do a test strip on the underside of your hair first before you decide to do your whole head. You can never be too sure what is going to happen to your hair. If you don’t like it or something just is not right after you have tried it, then nobody will be able to see it. Including yourself! Another way to get rid of the brassy hair with vinegar is to use food coloring first, then use the vinegar. You will need to have food coloring, shampoo, and vinegar. First, you will want to determine if your hair is more on the red side or the orange side. Next, you will need to get red and blue food coloring. If your hair is more on the red side you will want to add an extra drop of blue food coloring. You will add the food coloring to your shampoo bottle. Or make a separate bottle just for this. Then, you will shampoo your hair with the mixture you just made, let it sit for a few minutes. Rinse well, and see what your hair looks like it. If it is still on the red side, I would one more drop of blue food coloring and shampoo again. This method does work great. Can get a little messy, but you will get the results you desire. You will need to do this at least two times a week or more for the next 2 weeks or until you get the results you want. Make sure you get the proper mixture of food coloring for the shampoo. If you need to adjust it either add redder or more blue food coloring to your shampoo. I would suggest always do a test sample to a chunk from the back and underneath your hair. Vinegar and water in a spray bottle is another way to use the vinegar on your hair. Get your hair wet and spray the vinegar water on your hair and let it sit for 10 minutes or more. Once your time is up to rinse out your hair and let it dry. It is a more convenient way to do your hair if you are in a rush. You will still get the same results with this method as with the other methods. 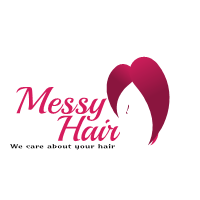 Now that you have read the article, you may now go and get the products you need to get rid of the brassy hair. Any of these methods will work great on your hair and you will get the results you desire. It can either be white vinegar or apple cider vinegar, either one will work great. You will end up saving money in future because you will not need to go to the salon or buy your own hair dye to keep the brassiness out of your hair. For a couple of dollars and a bottle of vinegar that will last a long time and you don’t even have to leave your house to get your hair fixed. I think that is that not having to leave your house is the best thing ever! Now you are all set to get your brassy hair under control!